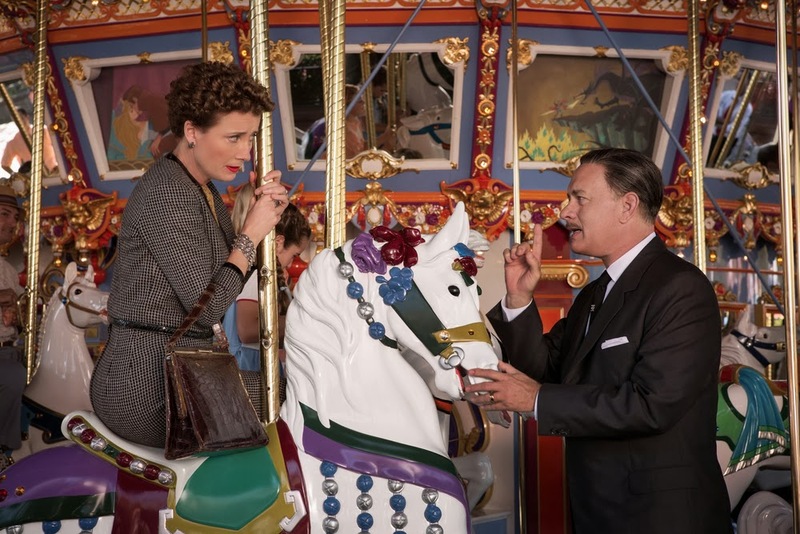 Saving Mr. Banks Review: People have a need to put a happy ending on a tragedy. Right? What did I get from the movie…? Well you’ll get a hint from the title of the review. 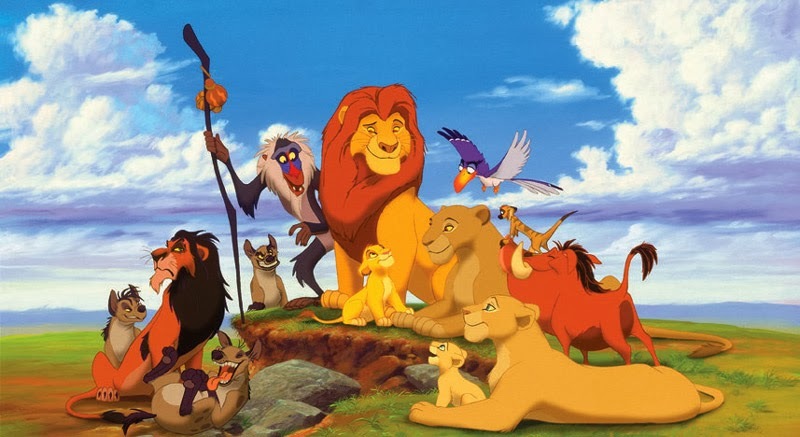 I enjoyed Disney’s films while I was young like most of the people of my generation. Even in Korea, where anime dominated the mind share of the children of my generation and of many generations after mine, Disney was a special thing. 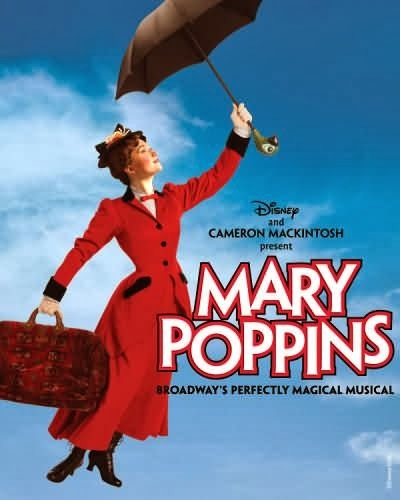 In regard to “Mary Poppins”, I saw it many times on TV when I was very little but lost touch with it during my teens. I actually got reacquainted with it while I was at college. My college had a media room at the library where you could loan out a VHS tapes and even DVDs. I would finish my classes and go to the library to read fiction or see movies. I fell in love with Julie Andrews again. However, my love affair with Disney had to end like a lot of things in life. Now I’m just ambivalent with their “Products”. I do not hate them but the magic is no longer there for me. The plot of the movie basically spans over the 2 week period in 1961. P.L. Travers is the author of a successful children’s book called “Mary Poppins”. As a person, she is a cranky old woman disappointed with and crushed by life. The only thing she really has is her children’ book “Mary Poppins”. Walt Disney has been trying to acquire the movie rights for the book for 20 years. P.L. Travers does not want to sell the rights but she is in bad financial shape. For two weeks in Los Angeles, we see Walt Disney trying to woo over P.L. Travers so that she will give him the movie rights to her children’ book “Mary Poppins”. And that it is all the movie is. 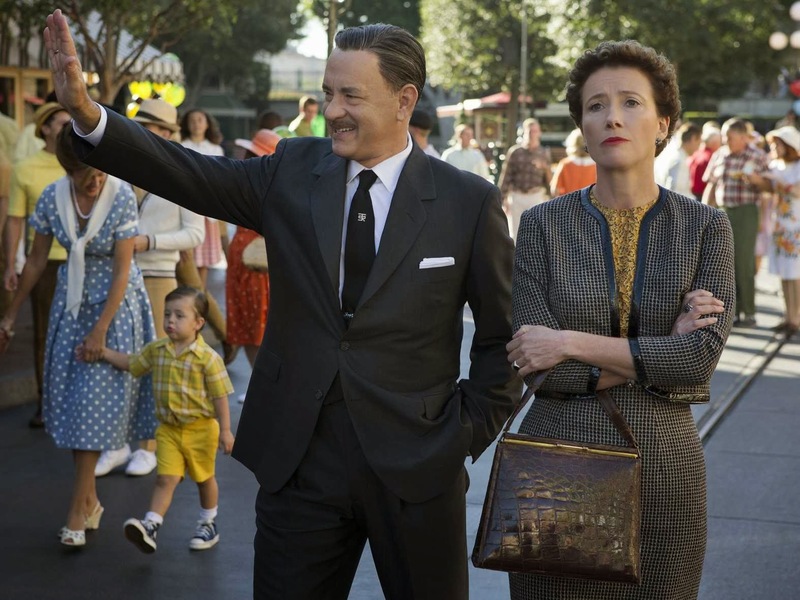 Is “Saving Mr. Banks” just a fluffy Disney P.R. movie? The need of people to reinvent a painful memory so that an alternative happy ending can be possible. The movie just does not have a strong enough director with vision to fully commit to this theme. These experiences get embellished some times. These experiences get re-appropriated for different contexts. The personalities of characters change. While the details get altered according to artistic licenses, there is a sliver of realism still captured in the story because of the real experience in which the story is inspired from. This helps make the story that much real for its readers. However, this is not a one way streak. It happens both ways. Because of the realism put there by the author, for the author, the story becomes, in an odd sense, a living representation of a past that has been dead for a long time. It is a second chance for an author. One can to relive one’s past experiences again. One can meet people lost in the sands of time again. One can see what happens if one had just turned to the left rather than the right at a fork in the road. The last one is a funny thing humans do. Some call it white-washing. Some call it myth creating. No matter what we call it, we tell stories to give someone we love, who is no longer with us, a happy ending. We know that it is not true. We know that this would not change the fact that the life of a person, we loved, ended in a tragedy. But we, as humans, have the need to give our loved ones a happy ending. The main example of this is the concept of the after-life where everyone is young, happy, and together. The after-life, Heaven, is the ultimate happy ending that we create since no one has come back from it. 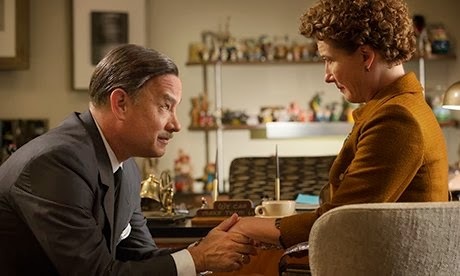 The need to give someone we lost a happy ending is the point of the movie,” Saving Mr. Banks”. The Layers of the movie and the lackluster execution! While we are getting into spoiler territory, I personally think that knowing what the movie is about beforehand a little would provide a better viewing experience. This is because, conceptually, the movie is rather intricate but the theme gets somewhat muddled in the movie itself. The movie has basically 3 layers to it. The first layer being the book, “Mary Poppins”. 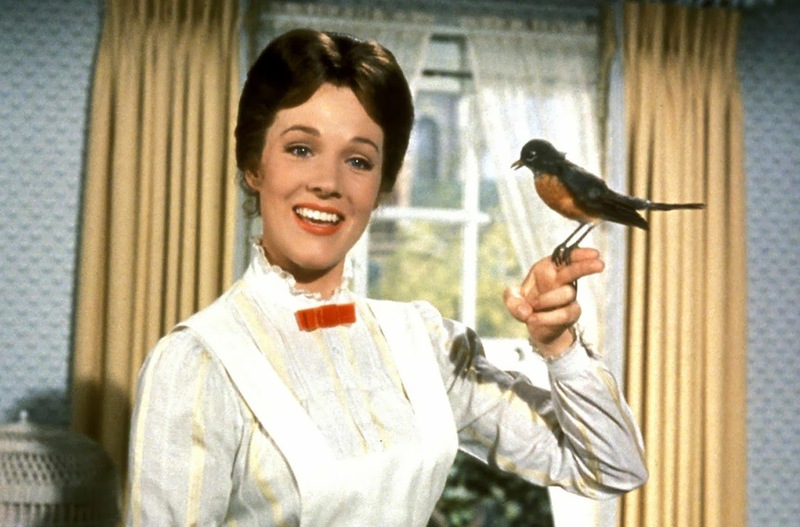 The story of the book, “Mary Poppins”, is basically a fictional version of P.L. Travers’ own family. By writing “Mary Poppins”, P.L. Travers is trying to give herself and her family the happy ending that was never to be. So, while you see P.L. Travers played skillfully by Emma Thompson try to fight for the integrity and “truth” of Marry Poppins’ story, the real truth is that it is not true. It is just an attempt to use fiction to turn a tragedy in to a happy ending. Rather, it was a failed attempt from what we see of P.L. Travers in the beginning of the movie. She is bitter, anti-social and just beaten down by life. This is treated by the movie as somewhat of a mystery that get revealed through multiple flash backs to the P.L. Travers’ childhood. The problem with these flash backs is that they are not used properly or skillfully executed. There are a lot of flashbacks that are used to explain specific behavioral quirks that just end up being used to foreshadow the final reveal that P.L. 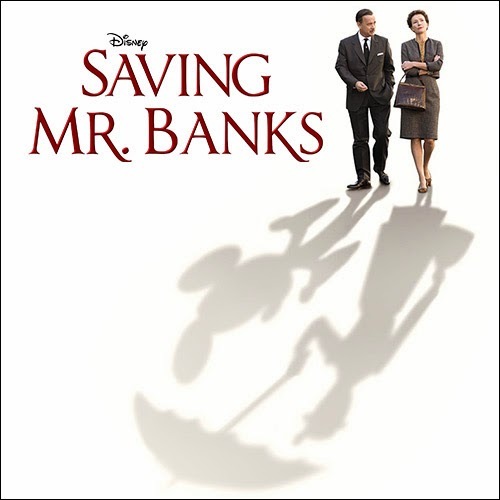 Travers’ father, who was the model for Mr. Banks, was an Irish alcoholic. However, this is not a mystery! Just from the title, you can easily guess that the whole movie is about very serious daddy issues. As a result, many of the flash backs are not poignant or very significant. In other words, they are rather fillers. In addition, there are almost no transitional cinematic devices to facilitate the cuts between the what the present for the movie and the past. The movie just cuts from present to past at random situations and without notice. You need to have visual or story devices to tell the audience that a flash back is need and thus accrued. One may get away without it if there is only a few but this movie flashes back frequently. This problem is more evident during the first half of the movie. Not only does this disrupt the flow of the movie, the interruptions make it difficult for the movie to create a reality that the audience can buy into during the first act. The second layer is Walt Disney himself. In the movie, Walt Disney says that he has been trying to make this movie for 20 years because of a promise he made to his daughters when they were young. However, there are rather obvious hints that there is more to this. It is so obvious that it does not even feel like a spoiler. It is that Walt Disney also has some daddy issues. He is also trying rewrite himself a happy ending through making the movie “Marry Poppins”. The resolution of the second act is basically hinges on this factor. However, the movie never actually deals with this other than providing hints. 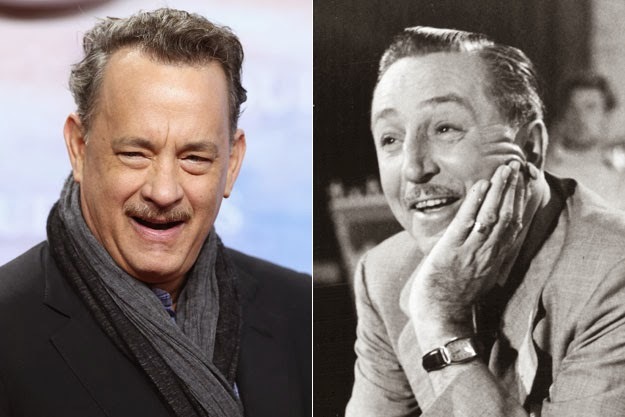 The consequence of this is that Walt Disney, played by national treasure Tom Hanks, is not well defined beyond his image which was fictional even when Walt Disney was alive. Tom Hanks does a great job but you can see that he can only really get the character up to 85% of what he should be. There are some hints of more depth to the role throughout the movie but end up not being utilized. 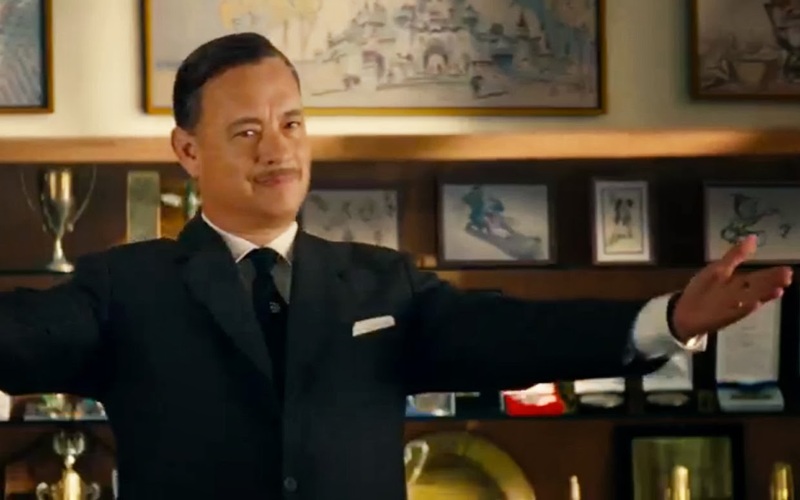 Seeing Tom Hanks play Disney, it is like he is playing a character from a version of the script that was not used for the filming of the movie. I can imagine that the initial draft of the script had more depth to the story with more for the Disney role to do that got removed in subsequent drafts. Thus, a lot of filler was inserted in the form of the flash backs. These two issues make the first act tough to immerse myself into. However, once you get through the rough beginning, the movie does work to a degree. Disney is doing a P.L. Travers on P.L. Travers and it’s Great! The final layer is the fact that this movie attempts to give P.L. Travers, the person, a happy ending that she did not get in real life by rewriting her life. This movie, although based on facts, is really really loosely based reality. P.L. Travers was not happy with the movie. P.L. Travers did not get revived from the experience with working Disney. P.L. Travers died a bitter women willing that her character will never be touched by Disney again ever. Like what she did with her book, the Disney Corporation does with this movie. 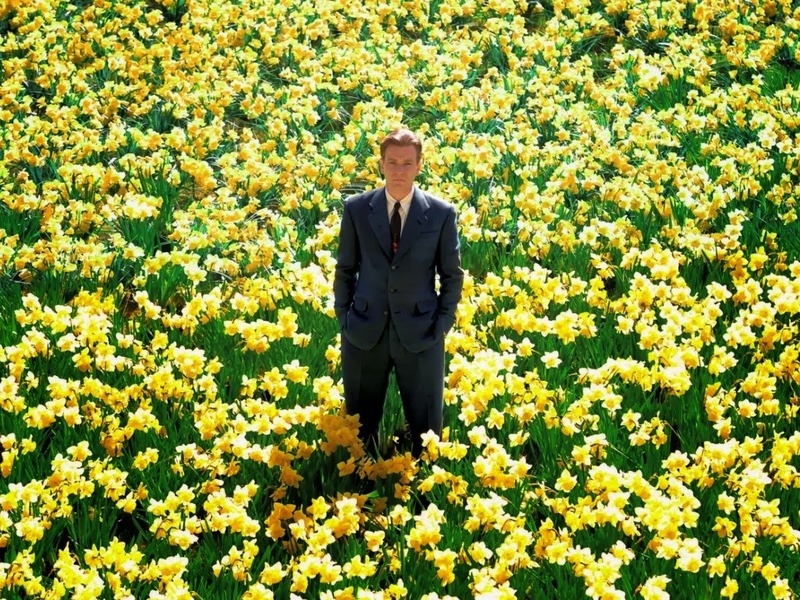 The last act of the movie basically feels like the ending of Tim Burton’s “Big Fish” or the dream/death sequence of the “Titanic” ending. It feels like a fantasy even within a Disney movie about a fantasy Walt Disney. P.L. Travers gets a renewal of life after giving Disney the rights. She is able to finally movie on from the tragedy of her father. While she is still willful, she is not cranky. She is now transformed from bitter spinster to beautiful Emma Thomson version of herself crossing the red carpet premier of the movie “Mary Poppins”. She cries and experiences catharses by seeing her father finally get his happy ending on the large silver screen. And for me in the audience, seeing P.L. Travers seeing a movie… What can I say? It works! Yes, I know that it is extremely ironic! I know that this is a total fantasy. At the end of the movie, the movie nails that point it is trying to make. 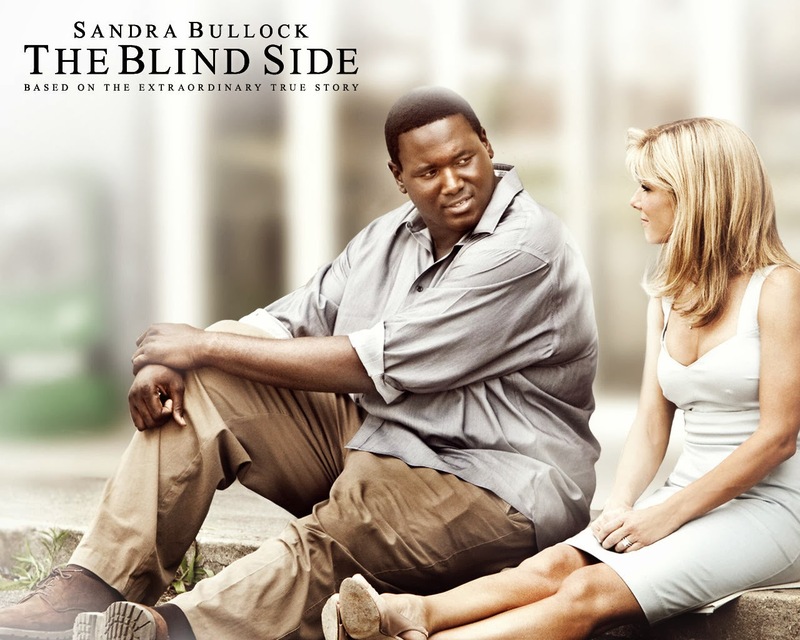 The movie is about the human need to give a painful memory a happy ending in order to survive it. P.L. Travers attempted do this by writing her book, “Mary Poppins”. Walt Disney attempted do this by making the movie “Mary Poppins”. The Disney Corporation attempts to give both P.L. 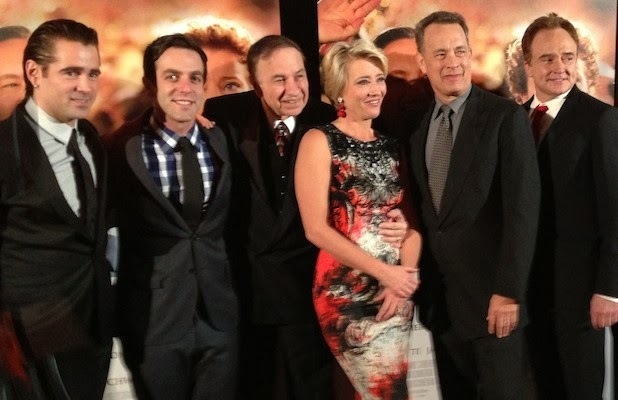 Travers and Walt Disney a happy ending by making “Saving Mr. Banks”. That is what I think the original intent of the movie was at least in the beginning. And, to a degree, I think it achieved its goals. However, it was a bumpy journey. A lot of what is in the movie is great. The overall theme was great. The behind the scenes stuff for the classic movie is great. The comedy and banter is great. The problem with the movie lies with the director largely. For what the movie is trying to be, the direction by the director needed to be creative and clever. You have a really unlikable character at the beginning that the audience needs to get to know. You need them to care about whether this cranky old b***h get her happy ending. The director of this movie was not the right person for the job. John Lee Hancock, the director, is a very conventional and traditional film maker and it shows in the movie. 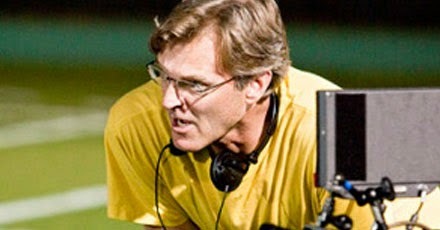 He has directed a few movies such as “The Blind Side” and “The Alamo”. None of the movies on his resume could be said to be creative or cleaver. It is like there was a potential to make a great film but Disney just aimed for mediocre. However, because of the pure acting talent involved with the movie, the movie rose above mediocrity and became decent. However, it is still not great. So, I would recommend you, at least, catch it on Blu-ray. Someone should rewrite the history of this movie and give in a true happy ending rather than just the decent on it actually got.